Across the diverse landscape of the Church of God today you’ll find people who, unfortunately, have not yet heard of the collective ministries of the Movement. They may have come from different denominational backgrounds or the local church might only mention “Anderson” from time to time. Still these individuals may know exactly what it means to celebrate Advent through weekly readings and candlelighting, culminating in an offering to support missions. The annual Christ’s Birthday Observance has no doubt become one of the most unifying experiences in the Church of God. CWC, formerly known as Women of the Church of God, is responsible for producing this vital initiative year after year. Even today, the Christ’s Birthday Observance offering is the largest offering collected in the Church of God. To this day, Christmas would not be the same for countless families and their churches if it weren’t for CWC’s timely and artistic efforts to shift our focus off the consumerism of the season to the Christ of Christmas. But Christian Women Connection is so much more than a Christmas tradition. 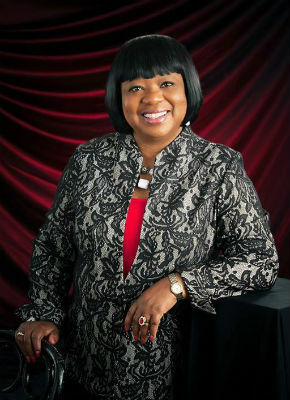 Arnetta McNeese Bailey was ratified as executive director in 2006. Her ministry at Women of the Church of God began in 2002 as ministry coordinator, with an expectation that she’d only serve for five years. 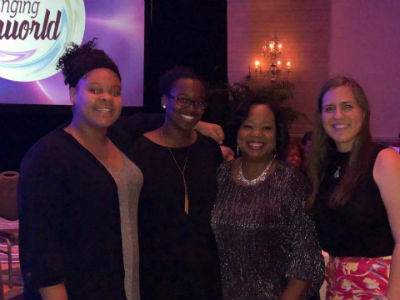 Previously the director of outreach ministries at Arlington Church of God in Akron, Ohio, Arnetta was skeptical of leaving such a high-impact role for what many might dismiss as “just an office job.” Little did she know all the role would entail, or how much of a kingdom impact the seminal Church of God women’s organization could have. Reconciliation. That’s not only part of what Arnetta does in her role, but it’s become characteristic of the fruit of CWC’s labor. The ministries, events, initiatives, and resources originating from CWC’s office in Anderson, Indiana, are in large part responsible for reconciliation that has taken place between ethnicities and cultures, between older and younger generations, and between women in ministry and the broader church. 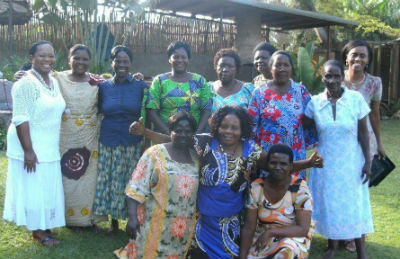 Arnetta (far left) with an African women’s committee. 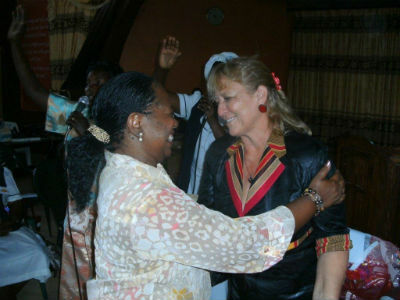 When Arnetta assumed the role of executive director in 2007, the ministry of Women of the Church of God was suffering a somewhat rapid decline. Involvement was down, and the ministry’s database of participants was way down. They surveyed the entire church, not just the women’s ministries, and learned that a shift in focus was desperately needed. Since then, Christian Women Connection has been bridging the gap between generations and intentionally connecting and resourcing Christian women in Church of God congregations. Take a look at a snapshot of Women of the Church of God a few decades ago and place it next to a snapshot of CWC today, and you will love what you see. Once a coordinated effort to support the clergywomen of the Movement was separate from the layperson-led women’s ministries; now, CWC seeks to bring these two networks together. Once there were as many as twenty-three distinct initiatives under the umbrella of CWC, eleven of which were fundraisers (no wonder the ministry was viewed as a fundraising entity only! ); today, the fundraisers are intentional, fewer in number, greater in impact, and matched only by the plethora of women’s ministry resources produced. Browsing CWC’s online presence today at www.christianwomenconnection.org, the Church of God sees more ministry than pleas for money. 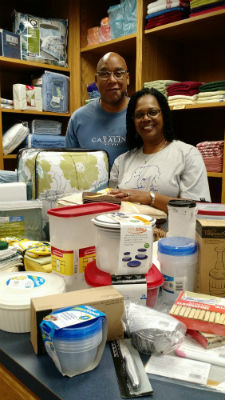 The Beverlys (Global Strategy) blessed by the Linen Chest. Of course, money is necessary to fuel the work of CWC, as it is for all the vital agencies of the Church of God. But it’s a tool stewarded by the faithful women and men that contribute to the kingdom work of the ministry. After all, what CWC is doing today is important to the entire movement, not just the women. Coming alongside women who are called to serve as preachers and pastors is especially important to Arnetta, and is another way CWC contributes to the Movement as a whole. As denominational influences and theological confusion about the call of women to ministry threaten the full use of their God-given gifts in the Church of God, Arnetta and CWC aim to make a difference now and even more in the years to come. Church of God Women’s Conventions take place every other year. From Christ’s Birthday Observance to the Linen Chest for missionaries, from the biennial Women’s Convention to the Young Ambassadors Program, from Immersion Trips to the plethora of local church women’s ministry guides and materials—Christian Women Connection is giving life like never before. Volumes could be written about the life-giving ministry of CWC today. You can learn much more about the history and ongoing work of the women of our Movement at www.christianwomenconnecton.org. And, it’s not too early to start planning your church’s Christ’s Birthday Observance! Order and download resources, now available, at http://www.christianwomenconnection.org/2018-cbo.html. This entry was posted in All Church of God and tagged Advent, affiliated agencies, affiliated agency, Arnetta Bailey, Arnetta McNeese Bailey, CBO, Christ's Birthday Observance, Christian Women Connection, Christmas, clergywomen, CWC, egalitarianism, Global Strategy, Immersion Trips, international, Linen Chest, Missionaries, missionary support, missions, Nora Hunter, Reconciliation, resources, women in ministry, women leadeership, Women of the Church of God, Young Ambassadors Program. Bookmark the permalink.